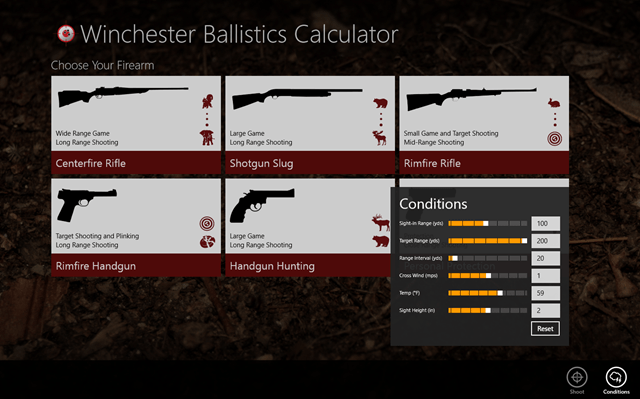 Ballistic Calculator is a free Windows 8 App to build shooting abilities. Basically, you can increase your knowledge about ammos you use while shooting, like if you are a professional shooter or an ammo specialist. You have a 6 ammo types and you can choose one of them for your practice session. Just choose the kind of ammo you use and the Winchester Ballistic Calculator will give you all the details about your gat. Just switch on to the Calculator and it will tell you the kind of thing you can shoot like a beer or a goat or whatever you want to shoot. This Windows 8 Shooting app will also tell you about the type of game in which it can be used and also its special features. You can see the number of ammo you can check and you can also set the shooting conditions according to you, like the in-sight range, the yard range or the temperature. 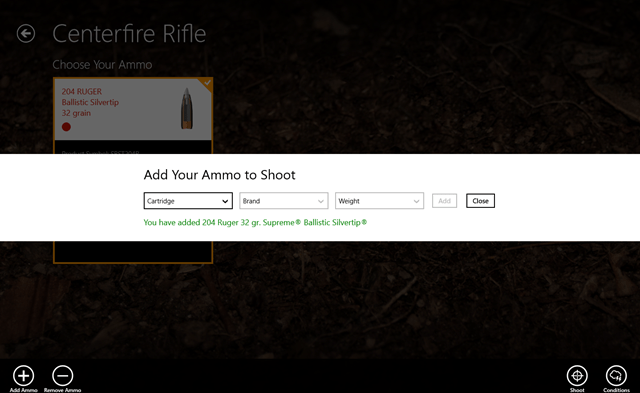 Just click on the ammo and you can select the type of cartridge it uses and the related information. And just add your ammos into your account. 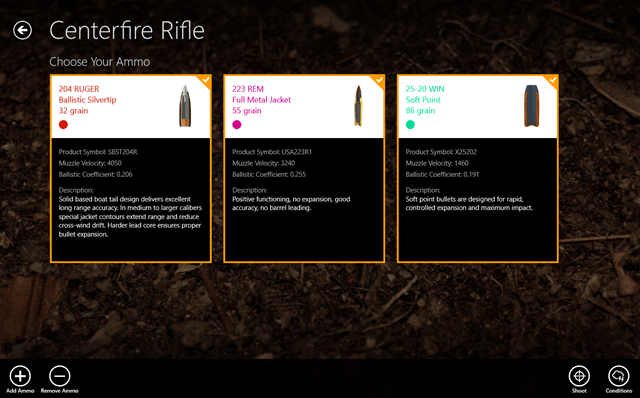 Just enter the cartridge type, its weight, its brand and just add the type of bullet into your account. it will show you all the information of the specific cartridge bullet. So you can add any number of bullets you want to add in your account but only for the same type of ammo you are using. And you can further test your type of bullet on a shooting simulator. You can check the shooting details along with the number of yards covered by your bullet. You can also have the other information like the flight time, the velocity, and energy used during your shooting session. 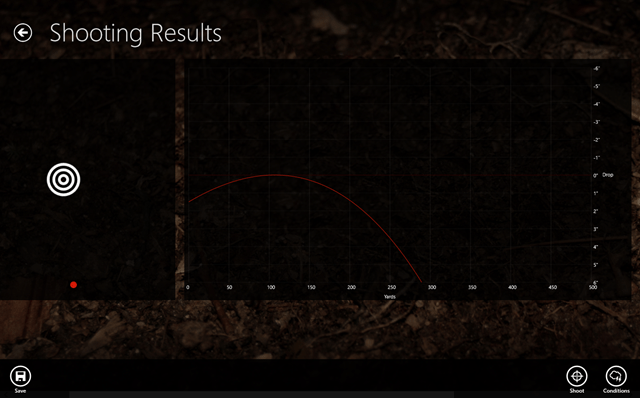 So, its kind of app for Windows 8 used by a real professional hunters who are really into ammos. Go ahead and install this Windows 8 App to build shooting abilities, right on your Windows 8 desktop and expand your shooting learning experience.